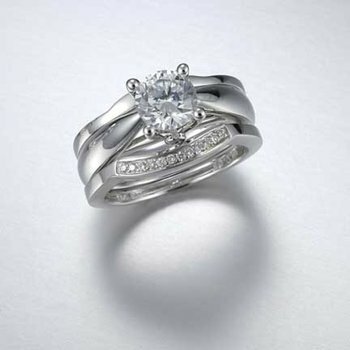 In her, you've found the love of your life and your closest and truest friend. 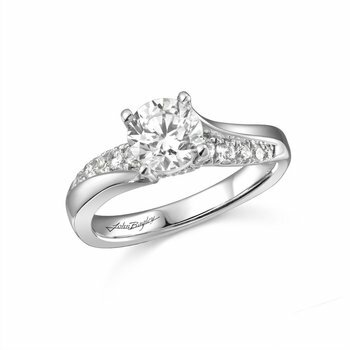 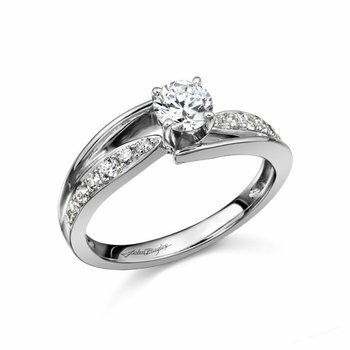 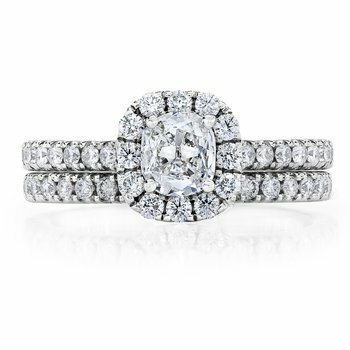 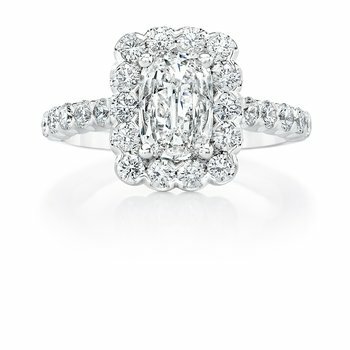 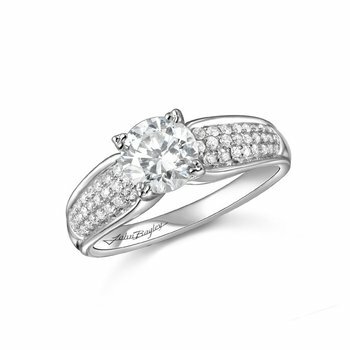 Seal your devotion with this 18 karat white gold split band dazzling with 32 (0.17 ctw) round diamonds. 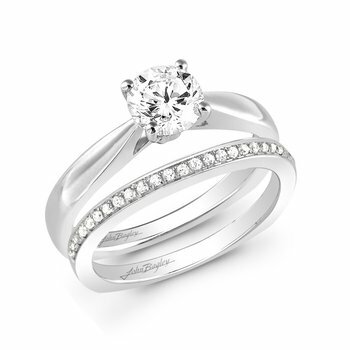 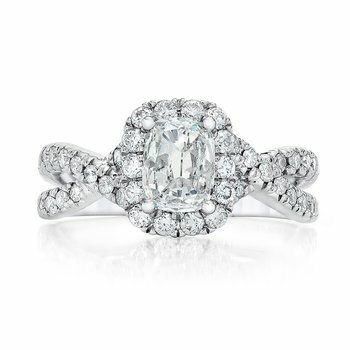 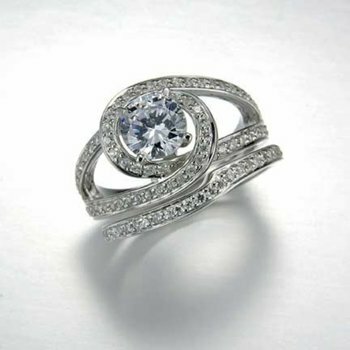 Center stone and wedding band sold separately, specifically for you.